• Create, update and manage customer files with contracts, contract schedules, important correspondence, costings, quotations, etc. • Safety First – We prioritise safety management to protect the health and wellbeing of our colleagues and those around us. • Performance – We seek to improve performance year-on-year to create long-term sustainability. • Integrity – We can always be trusted to do the right thing. • Best People – We employ the best people, develop their competence, provide opportunity and inspire them to live our values. 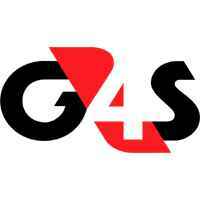 • Teamwork and Collaboration – We collaborate for the benefit of our customers and G4S. • Expertise – We develop and demonstrate our expertise through our innovative approach to creating and delivering the right solutions. • Customer Focus – We have close, open relationships with our customers which generate trust and we work in partnership for the mutual benefit of our organisations. One of the G4S Group’s core values is to ensure we employ the Best People. We strive to develop our employees’ competence and inspire them to live our values. G4S ensures that we provide our employees with opportunities for growth and development within a dynamic and challenging business environment. At G4S South Africa, we place great value on attracting and retaining the best people at all levels, to ensure the continued success of the organisation.